Kindergartners are taught the basic pillars of English and grammar when they start their elementary school career. They are introduced to capitalization, simple punctuation, frequent prepositions, plural nouns and start producing short sentences. Young students also learn new words and connect them to the real world. The Learning Library is loaded with lesson plans, worksheets, hands-on activities and other tools to help kindergartners achieve their English language arts requirements while encouraging a natural wonder of language. This levelled book about getting ready for a beach trip is an easy, breezy introduction to reading. 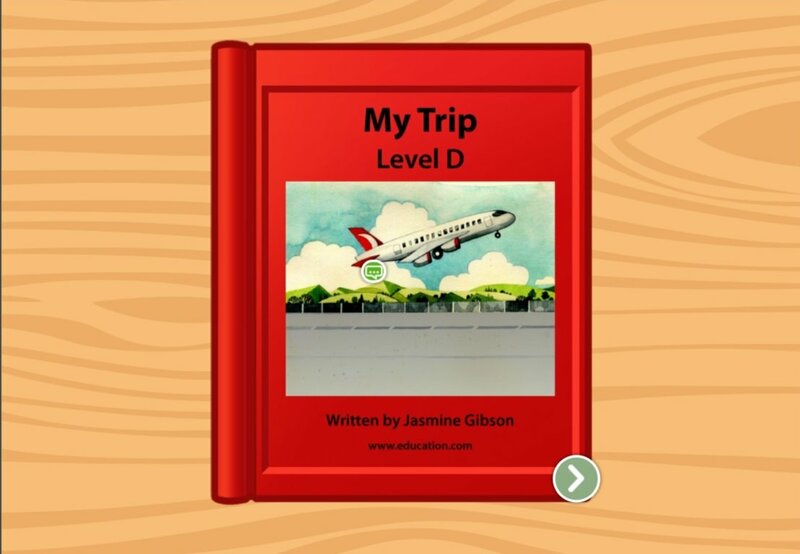 Kids build essential reading skills with this levelled book, all about going on a trip to the beach. Using complete sentences and age-appropriate vocabuarly, this levelled book sneaks in reading practise with the tale of a fun day indoors. Using shorter sentences and easy vocabulary, this levelled book helps kids build essential early reading skills. 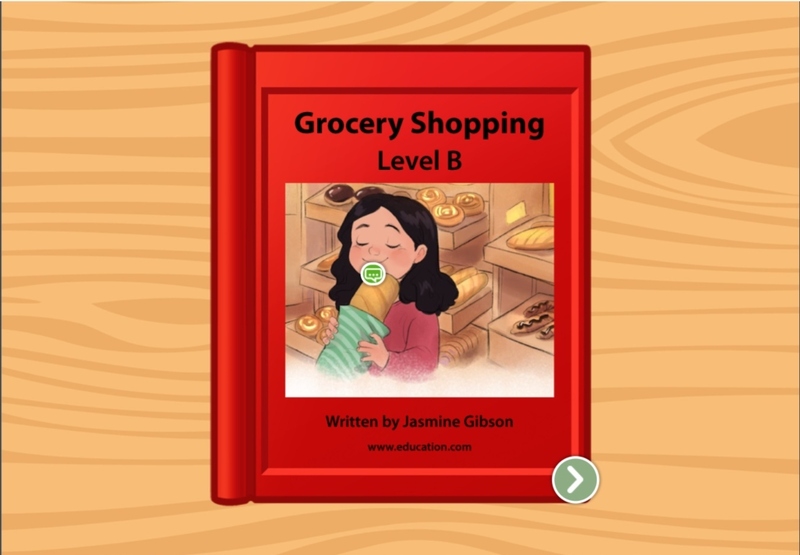 This levelled book uses a familiar setting and simple sentences to familiarize beginners with the world of reading. 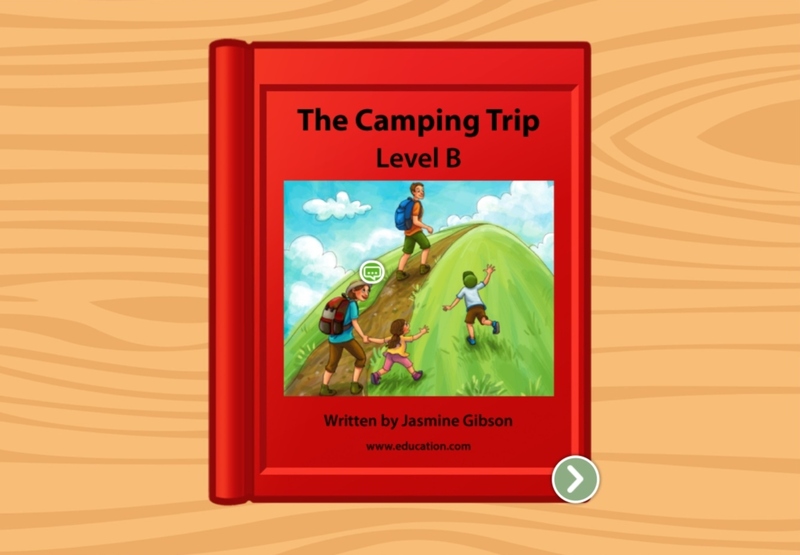 This levelled book about a camping trip uses short sentences and familiar vocabulary to help kids build essential reading skills. Written with two-word sentences, this book is perfect for helping kids learn how to sound out simple words. 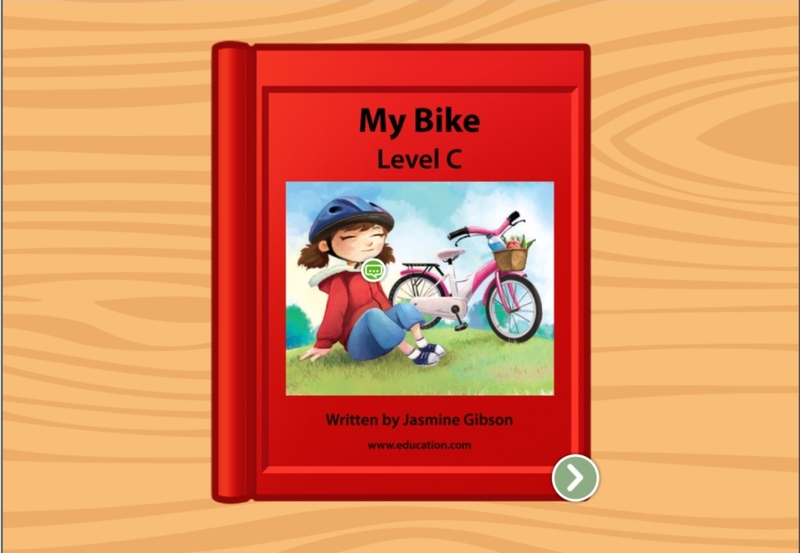 In this activity, kids can read about a bike ride around town while following along with the text. In this levelled book about a band, kids can follow along with the text as they match them to pictures for quick reading practise. Do you have what it takes to join the band? 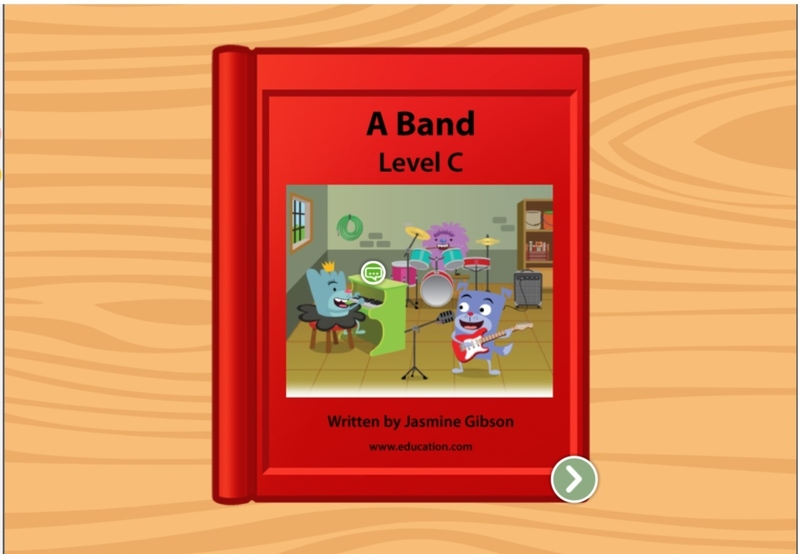 This story about getting a band together is an expertly designed way to help kids master key reading skills. The doctor's office is a place we go to make us feel healthy. 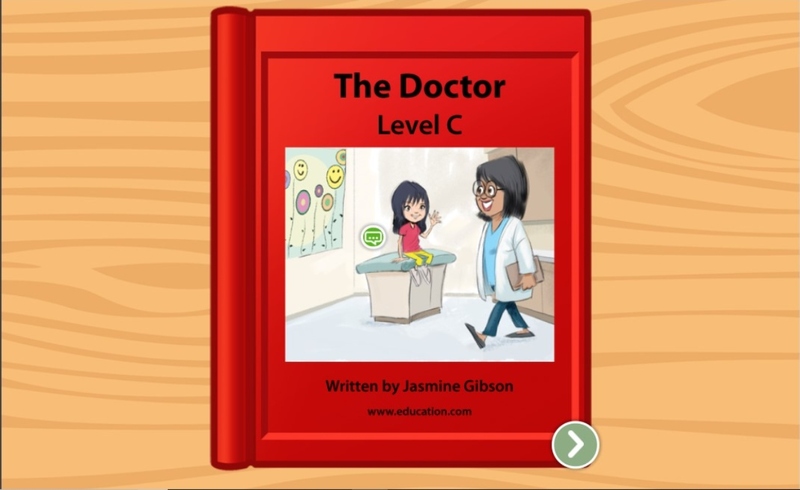 Help ease doctor-visit anxiety with this levelled book about going to the doctor. 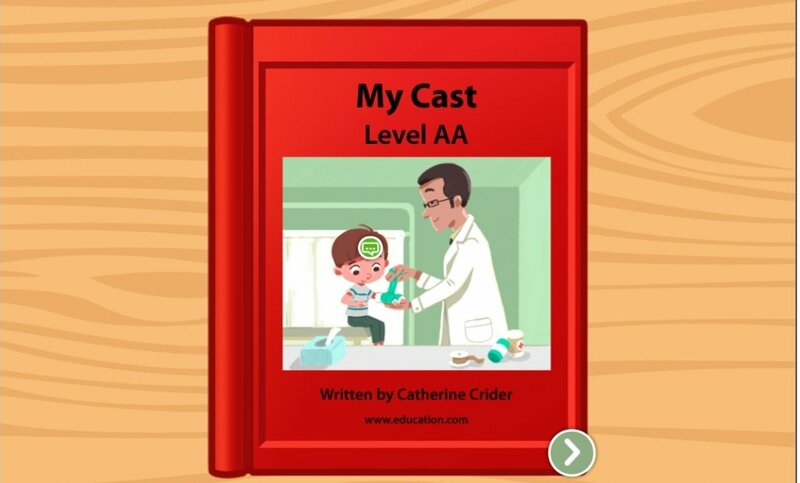 This levelled book about getting a cast is a great way to pass the time if your child needs to rest up after a tumble on the playground. 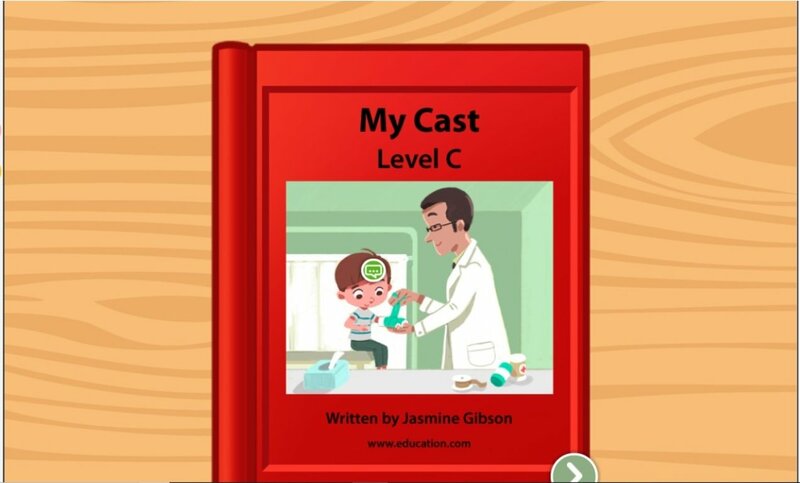 This levelled book about getting a cast will help your child with reading skills, and make them feel better if they've ever taken a tumble during recess. 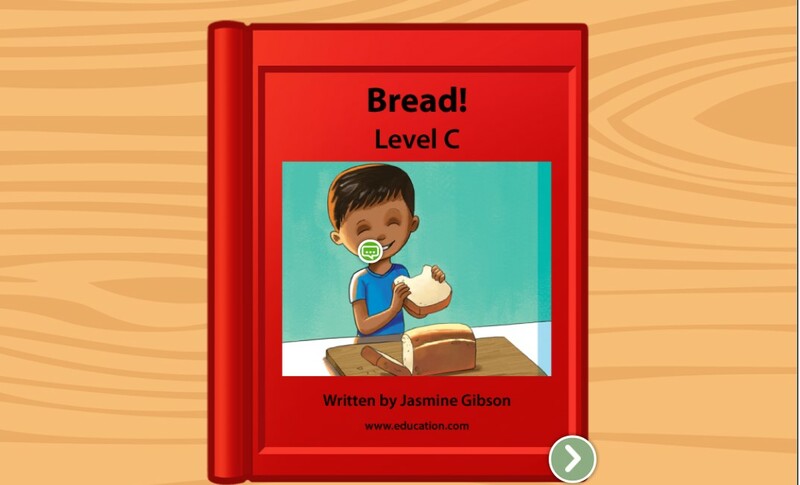 In this levelled book, kids can get used to reading step-by-step stories and learn where their bread comes from. If your kid is hungry for knowledge, they can get used to reading with this levelled book that lists the narrator's favorite foods. If your kid is a ball of energy, give them this levelled book all about running around for fun and health, made for beginning readers. 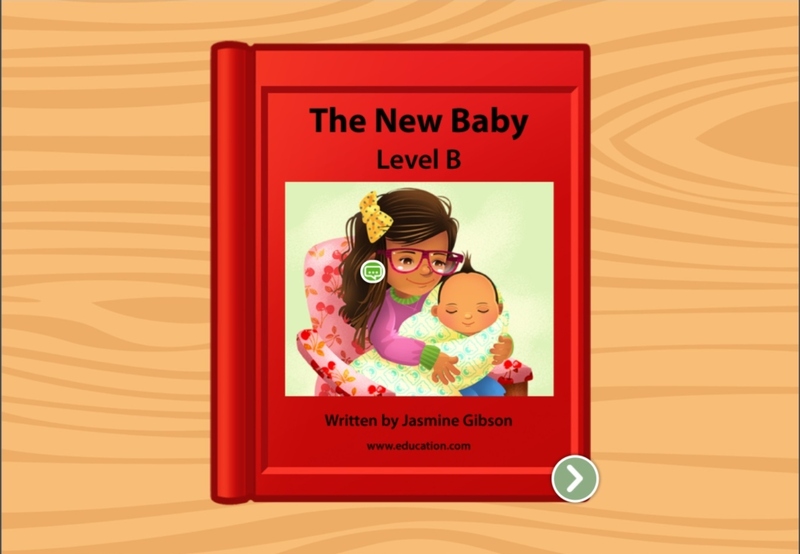 Your beginning reader can study science and reading in this levelled book from the education experts at Education.com. Help your beginning reader get on the road to reading success with this levelled book that's all about apples. Your kid can learn all about spiders in this levelled book that teaches reading skills, along with some fun science facts about spiders. This story that goes step-by-step through the act (or art!) of baking cookies is a sweet way to get beginning readers started on the road to success. Help kids learn about the rainforest and all the life in it in this levelled book made just for beginning readers. 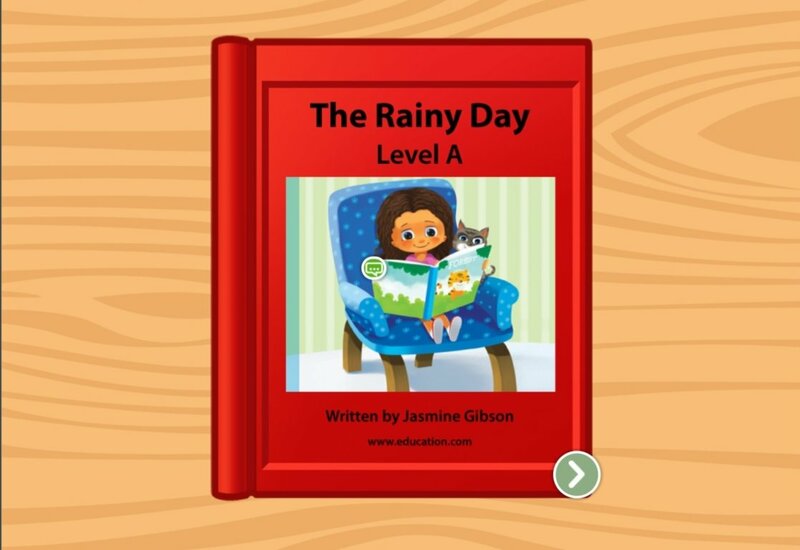 In this levelled book, kids can learn a little bit about the rain forest and, in the process, work on the skills they'll need to start reading. This levelled book about Halloween, made for beginning readers, is a great way for kids to practise the building blocks of reading. This levelled book about Halloween night is a great way for beginning readers to get excited about fall and learn the skills they need to read. This levelled book about a trip to the fair uses age-appropriate language to engage your young reader and help them master skills. Year one is when kids start collecting the nuts and bolts to put in their toolbox that continues to fill throughout their education. They jump right into reading and writing lessons, become familiar with the alphabet and letter sounds. There are numerous printable worksheets found in Education.com's resource library where kids can practise tracing letters. Position WordsIs a popular assignment that teaches kids simple directional words with professional illustrations. In fact, most of the worksheets and assignments are heavily illustrated to engage young students who cannot yet read. Multiple online games familiarize kindergartners with sight words, which are words that are commonly found in sentences such as "the," "go" and "not." Most young students learn by engagement, so there are many hands-on reading and writing activities that teachers and parents can choose from. One example is the highly-rated Take a Picture WalkEncourages kids to interpret what a picture may mean. There are dozens of other options available to help kindergartners jumpstart their English comprehension and plant a passion for reading.